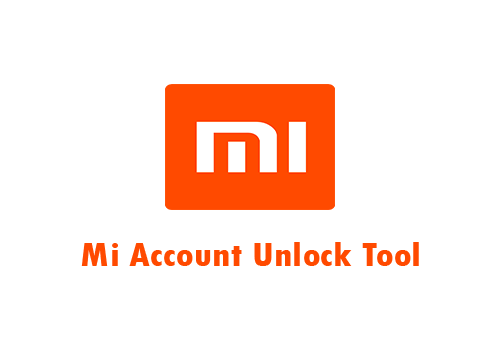 Mi Account Unlocker Tool is a powerful tool for Bypass Mi Account and Disable Mi Account.Mi Account Unlock tool coding by Mobile Software Advance Team.Mi Account Unlock Tool you can use this for all Mi Models.This Tool is 100% working and tested by GsmFirmware Team. 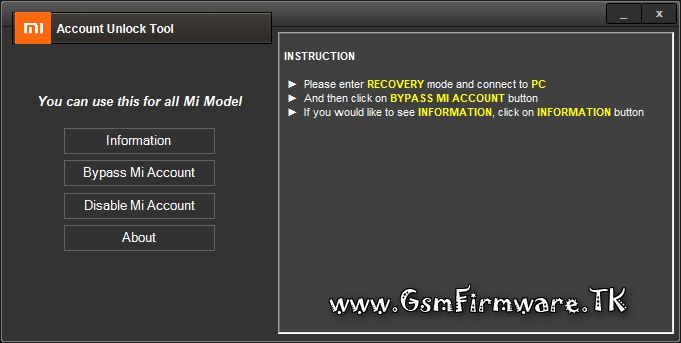 How to Bypass Mi Account ? 1. 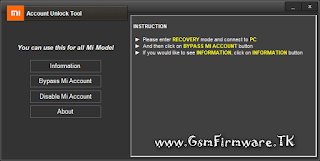 Extract the "Mi Account Unlock Crack Tool" Tool. 2. Open "MiAccountUnlock Tool" File. 3. Please enter RECOVERY mode and connect to PC. 4. And then click on BYPASS MI ACCOUNT button. 5. If you would like to see Information, click on Information button. From where we will get mi account unlock tool....please help me out.